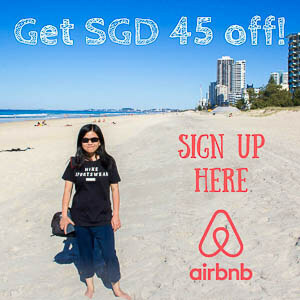 So, you’ve had enough of boring activities like swimming on Sentosa’s beach? Enter Mega Adventure Park. Travelling should awake all your senses, pump your adrenaline and give you a memorable experience to remember for a long time, shouldn’t it? 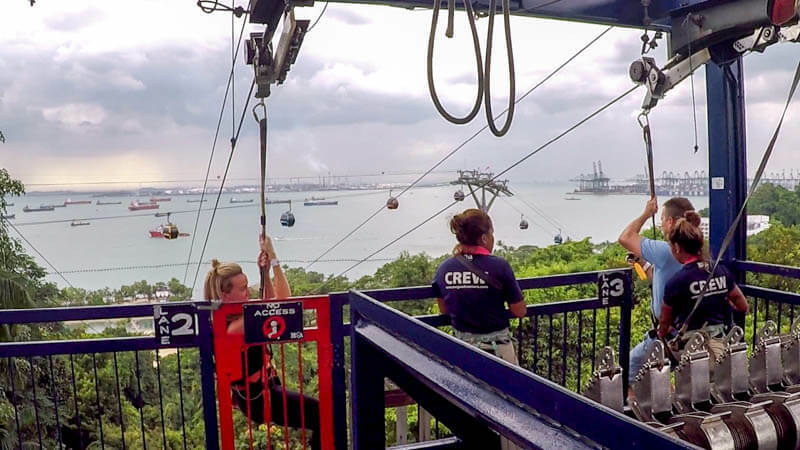 If you have the same view about travelling as me, then push all of your “Sentosa-must-do-things” to the bottom of your list and head to Mega Adventure Park first thing when you arrive at Sentosa. 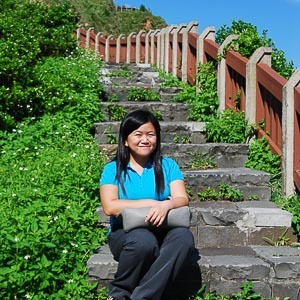 As a long-time (over a decade) resident of Singapore, MegaZip has been on my radar for so many years. 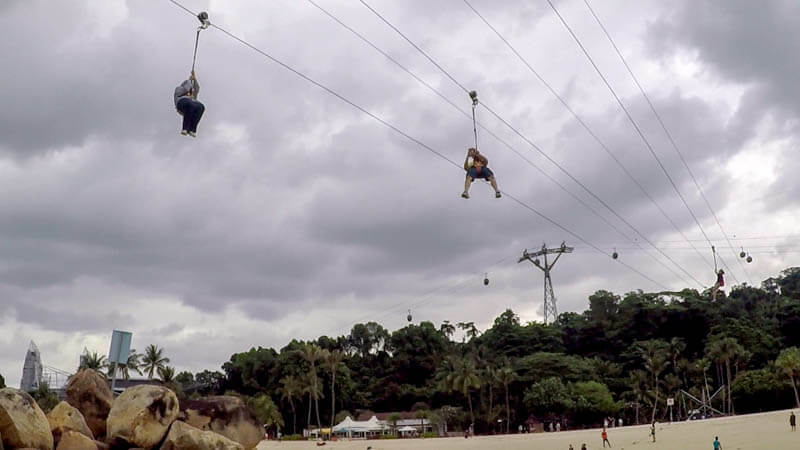 I felt a rush of adrenaline every time I saw people zipping past above me at Siloso Beach. I yearned to try it but the little voice in my head reminded me about that time I took 30 mins to calm myself before sliding down a terribly high water slide at Bali’s Waterboom. After years of grueling arguments between my heart and my brain, the former eventually won. 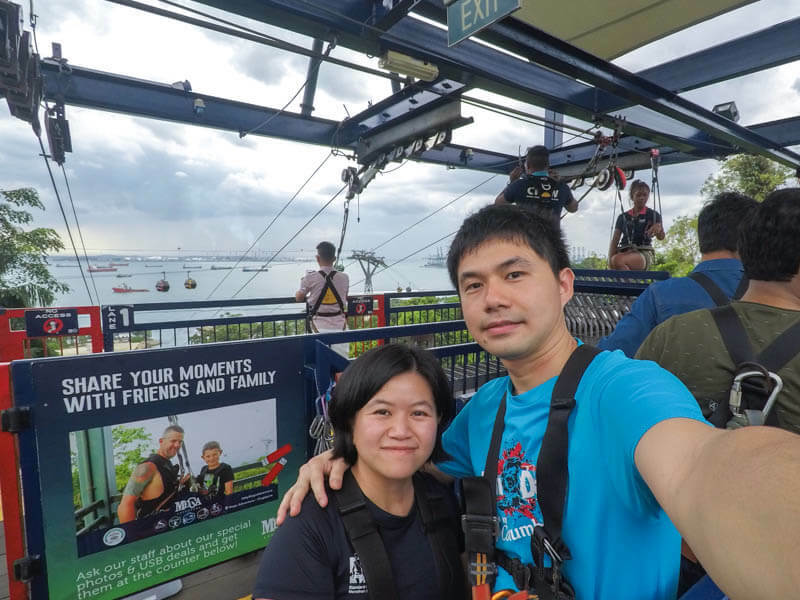 I took the brave steps to Sentosa last month to prove if my heart made the right decision. Free megazip photo prop for anyone! This board was found at Beach station. 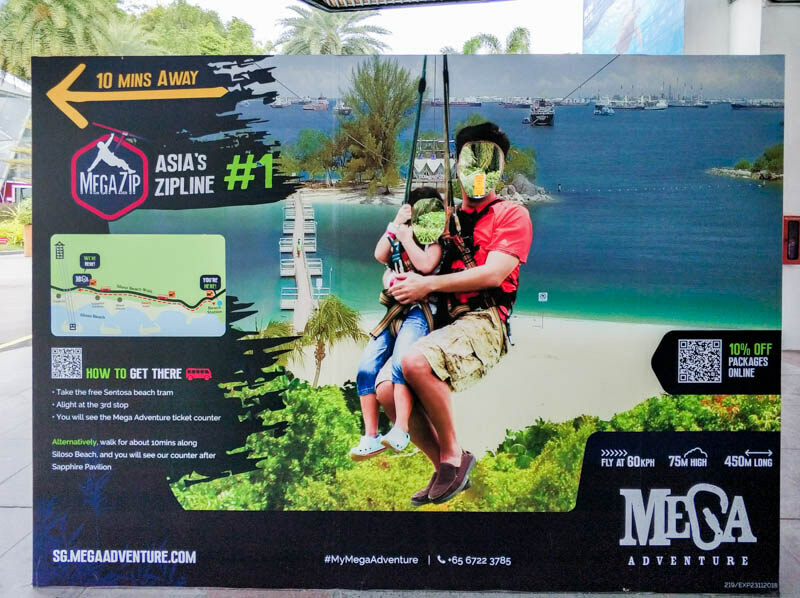 What’s There at Mega Adventure Park? 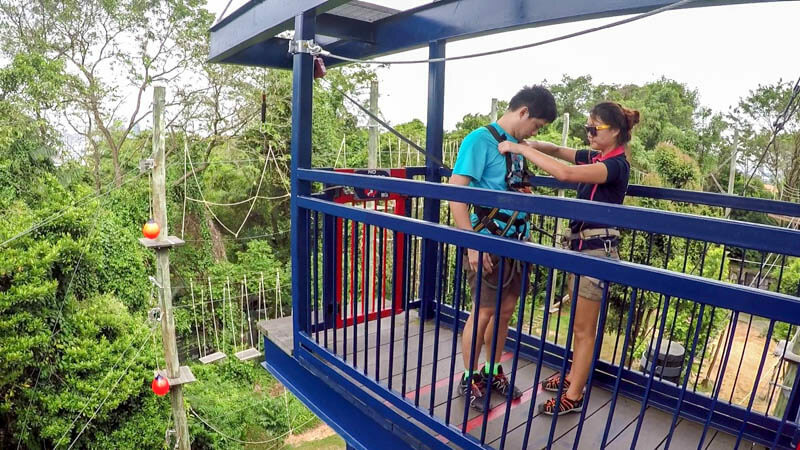 Surprise, it’s not only a zipline! In fact, there are 4 types of adventures to challenge the beast in you. My hubby and I tried the two most challenging ones: MegaZip and MegaJump, both of which I’m going to write about below. 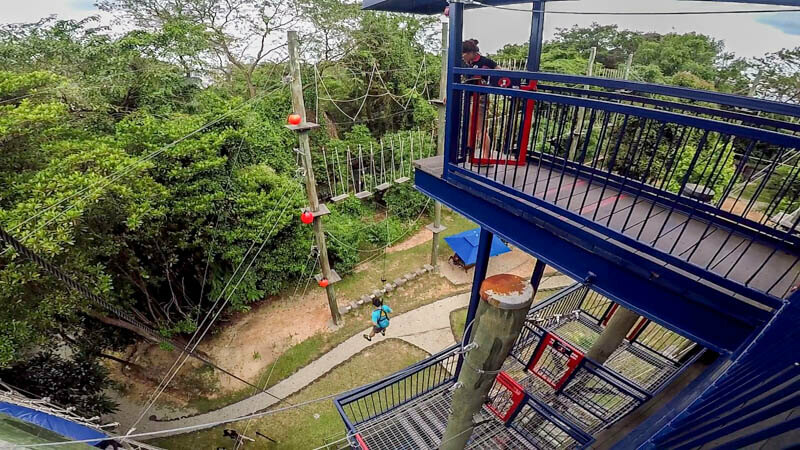 The other two adventures are MegaClimb (a rope adventure where you get to choose 2 out of 3 levels of treetop obstacles) and MegaBounce (kids would love bouncing on trampoline). Getting ready for the activities is really fast and easy. Basically, the helpful and friendly crews would be helping you don the harness. After you’re suited, another crew would bring you to the buggy, then drive you to Imbiah Hill, the place where you’ll start the activities. 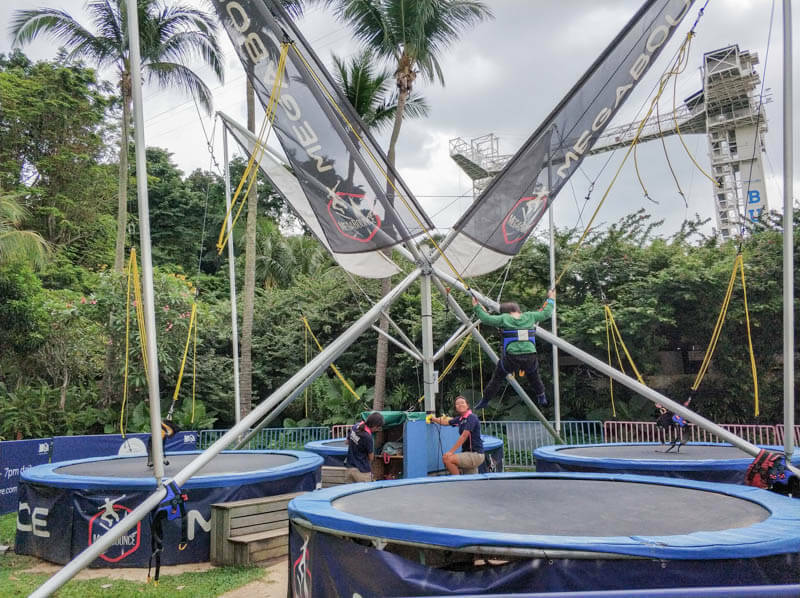 Because our package includes MegaZip and MegaJump, we had to do the Jump first then the Zip. Standing at 15m high, I had cold feet. I know it sounds silly considering I love mountains, skyscrapers and rooftop, but I hated the thought of free-fall jump. I let my hubby proceed with the Jump while I happily snap pictures and record videos of him. To make it clear, MegaJump is different from bungee jumping. In bungee jumping, when you reach the bottom, there’s some bouncing effect in the rope that will pull you up. Meanwhile, in MegaJump, you simply jump down to the ground and land on your knees. The jumping takes less than 10 seconds, but the thrill before that is probably several minutes long! This is a good practice before your real “jumping out of the plane” in case you’re planning for a skydiving in the future! This is it, the zip line I’ve been waiting for so many years. There are 3 zip lines that travel together at the same time. Naturally, I want to zip together with hubby. The crews know that friends & families want to zip together, so they diligently ask everyone how many people there are in their group. Mobile phone and GoPro are allowed as long as there is a way to secure it to yourself via a lanyard. I brought my GoPro but forgotten about the mount, I’m so mad at myself. Before you go, make sure you prepare the necessary tools for your phone or camera. The cashier sells handphone pouch that you can hang around your neck. PS: Selfie stick is not allowed. How did it went? I couldn’t believe I’d say this, “It’s amazing and I can’t get enough!” There wasn’t any pushing (like skydiving) or free-fall. It was perfect for someone like me who loves adrenaline (but not extreme sports). It felt surreal, I felt like flying over the jungle and water. 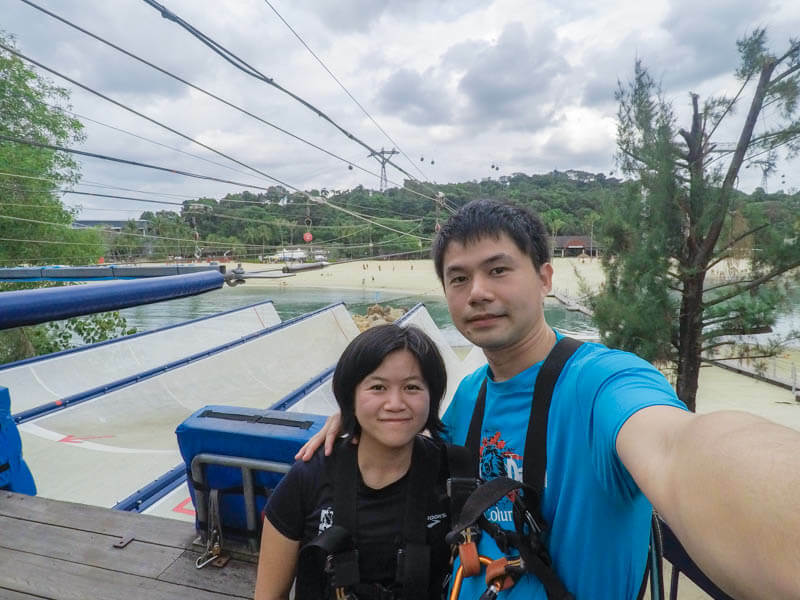 It felt liberating and cool (Thailand and Laos zip line, I’m so ready for you!). If you don’t bring phone or GoPro while zipping, you’d still have photographs of you taken by the crews. They’re available for purchase albeit at a premium price. 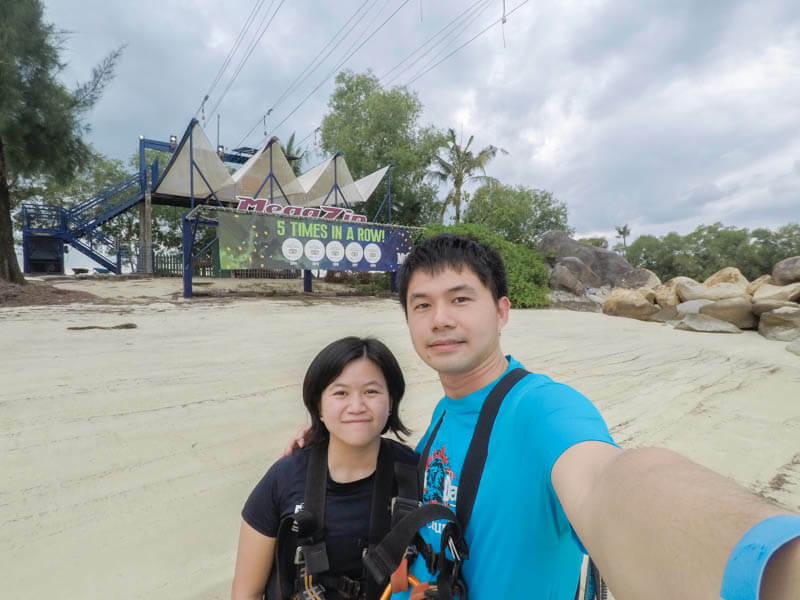 The zip line ends at a small island across the water from Siloso beach. From there, we had to come down, walk across the bridge to go back to Mega Adventure Park to return our harness. Purchase ticket in advance to avoid wasting time standing in the line and to save money too. If you’re going for MegaZip + MegaJump package like us, it’s cheaper to get it from here (additional 5% if you use promo code: “trevallogsg“). Meanwhile, if you’re only getting single activity or other combination of activities, you can get it here. Bring and wear the right things. See below for more detailed tips. Check the weather. I recommend that you check the weather one day before your scheduled visit via NEA website and try to avoid rainy days if possible. If your schedule is not flexible, I suggest that you arrive early about 11am rather than late afternoon (the park closes at 7pm) so that you’ll have chance to wait for rain to subside. It rarely rains the whole day in Singapore. A small bag (preferably a backpack) to keep all of your belongings. You can deposit them in the lockers before your activity, or you can wear them during zip-lining. No spectacles, watches, rings, earrings, hats (they possess fall hazard). Keep them in your bag. 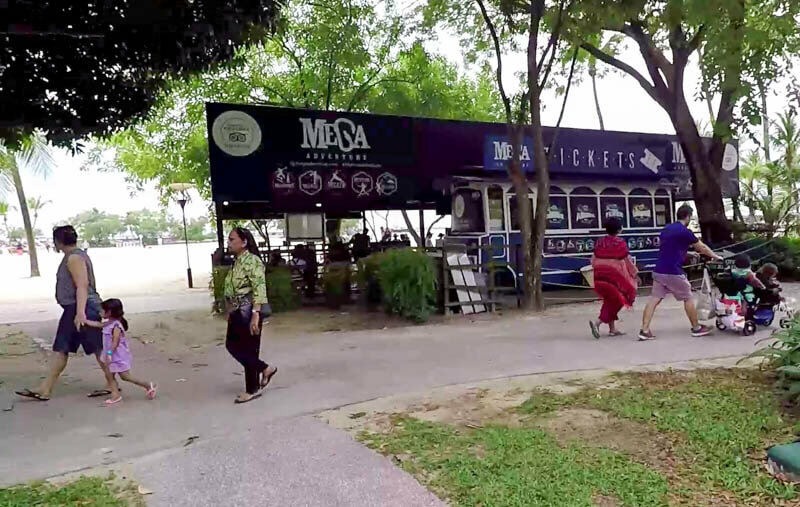 Public transport is the cheapest method to get to Sentosa (Mega Adventure Park is located at Siloso Beach at Sentosa) but it took longer time compared to taxi. Here’s a list of how to get there. Option 1: Take MRT to Orchard Station. Walk to Lucky Plaza bus stop. 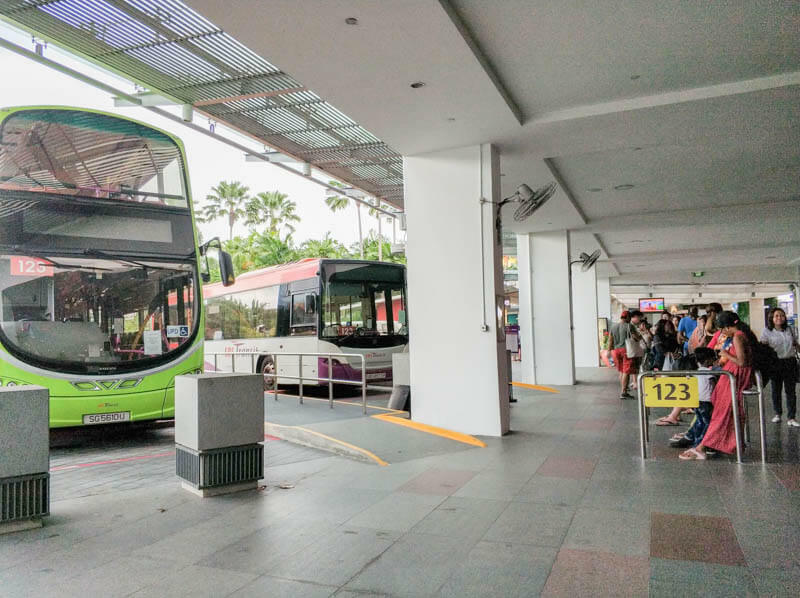 Take bus 123 to Beach Station in Sentosa. Cost: standard bus fare. Option 2: Take MRT to Somerset Station. Walk to Midpoint Orchard bus stop. Take bus 123 to Beach Station in Sentosa. Cost: standard bus fare. Option 3: Take MRT to Tiong Bahru Station. Cross the road and walk to Opposite Tiong Bahru Stn bus stop. Take bus 123 to Beach Station in Sentosa. Cost: standard bus fare. Option 4: Take MRT to Harbourfront Station. Walk to VivoCity bus stop. 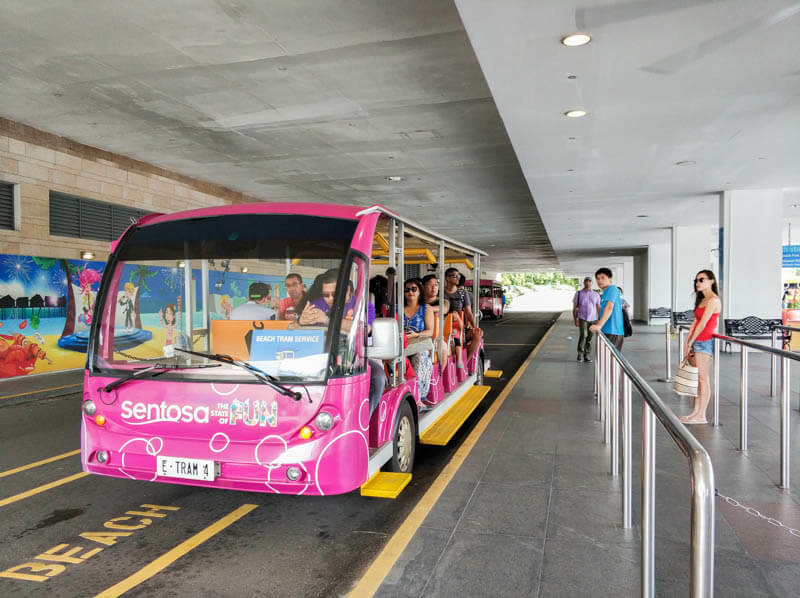 Take bus RWS8 (cost: $1 by cash or EZ-Link) to Resort World Sentosa. Then, take free Sentosa Bus A or walk to Beach Station. This is the beach tram that goes to Siloso beach from Beach station. Sometimes, they use van to bring passengers too, instead of tram. Disclosure: Thank you Voyagin for hosting us. This article is written with my own opinions, which are objective regardless of whether I paid on my own or I’m hosted. Some links on this post are affiliate links; I would receive a commission when you booked through my links, at no extra cost to you.